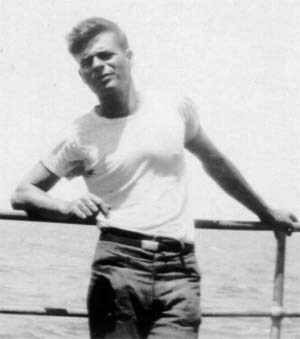 Fred Kazetsky was a member of the original crew of the USS West Virginia in 1923. 11-30-23 Received Ship BB-48 USS WEST VIRGINIA. WEST VIRGINIA was completed 12-1-23. Fred was MM1st Class of her first crew, a PLANK OWNER, and served on the WEST VIRGINIA until his Honorable Discharge from the Navy. The above information about Fred’s Naval Record was taken from the backside of his Discharge Certificate. By the way, AK-1 was the first USS HOUSTON, most folks have never heard about. She was a German freighter that was trapped in Charleston Harbor at the outbreak of WWI. She stayed there, anchored with her crew for about a year when the crew finally ran out of stores, scuttled the ship, and left. The next day the US Navy raised her, refitted her, and she became a shuttle ship between the two oceans via the Panama Canal with her last cruise in the Pacific.